Cracking Up Austin, the new comedy series from MentalHealthChannel.tv, will premiere for free at the Marchesa Theater. 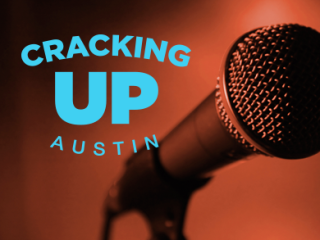 The show follows ten comedians as they prepare to compete in the inaugural Cracking Up Austin comedy competition, held last November. Hilarious, dramatic, thought-provoking and surprisingly insightful, Cracking Up Austin is an unforgettable union of comedy and mental health awareness. Seats are on a first come, first served, so come early and take advantage of the cash bar.